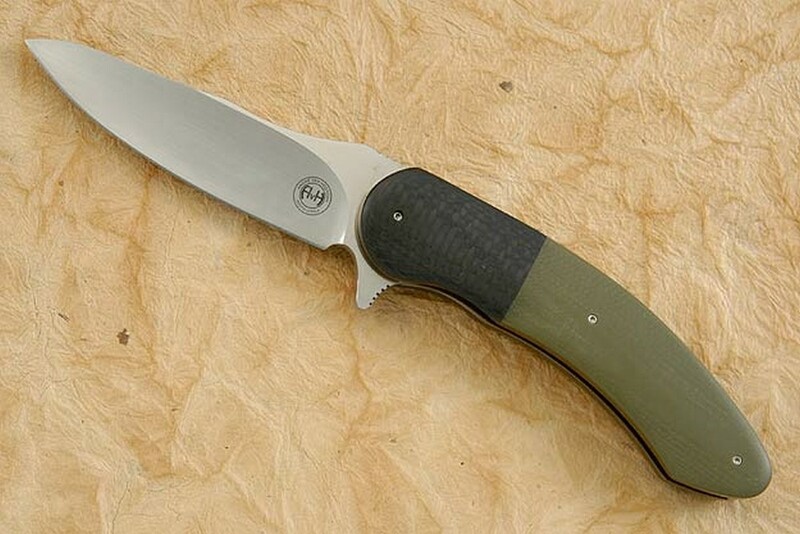 Description: South African knifemaker, Andre Van Heerden, creates an amazing folder -- and at a price that could never be found in an American handmade knife. 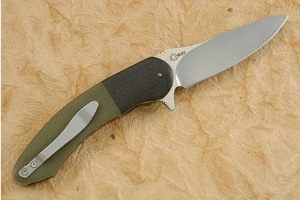 The handle scales combine carbon fiber and OD green G10. 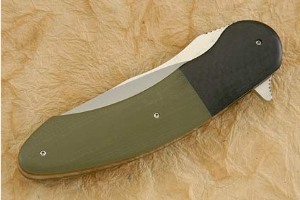 By setting the carbon fiber into the G10 instead of setting two pieces side by side, Andre ensures exceptional durability. 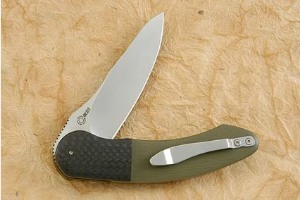 The blue tones of the anodized titanium liners complement the G10 perfectly. 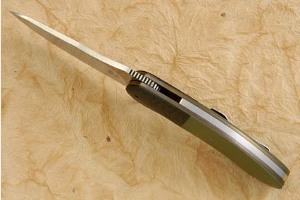 The resulting handle will have excellent durability as a using knife, but will easily feel at home in a collection. A pocket clip mounted for tip up carry keeps the knife close at hand. Excellent fit and finish throughout. 0.23828125 0.11328125 238.28125 113.28125 Trailer Completed.